Ever lost something important? Bummer, isn't it? From keys and bags, to your bike and even your dog, suddenly losing an important item can make you feel sick to your stomach (and also up a certain creek sans a certain implement). Fortunately technology is here to save the day, helping you to never lose anything ever again. Thanks Technology. 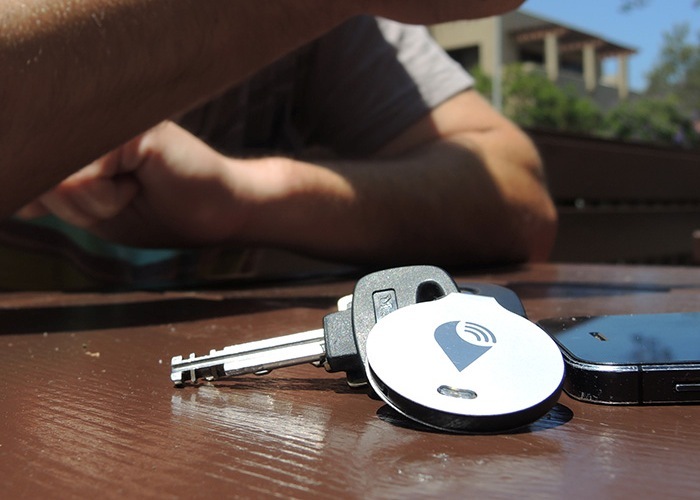 We review the TrackR Bravo. 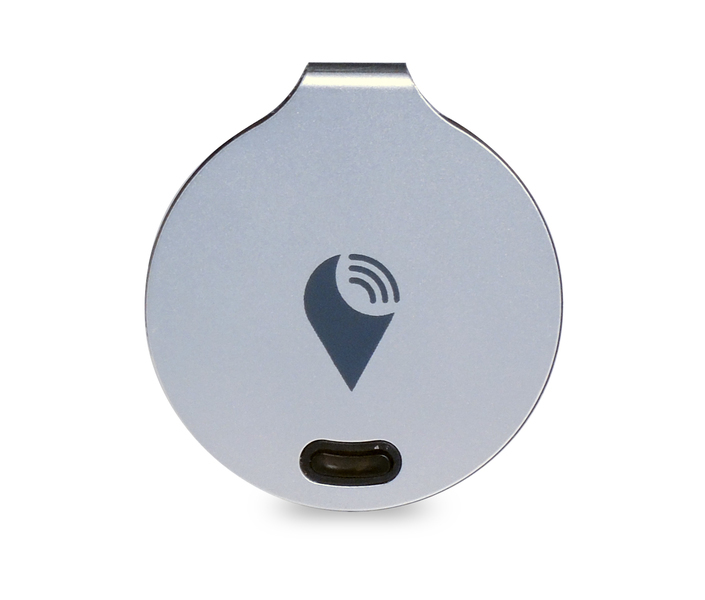 The TrackR Bravo is a small metal tag which can be clipped onto whatever it is you want not to lose. Using Bluetooth, GPS, and the connected smartphone app (for Android and iOS) you can then locate and find your stuff easily. If all this sounds familiar, it's because the TrackR Bravo is very similar to the Chipolo which we have reviewed, and enjoyed, a couple of times previoulsy. 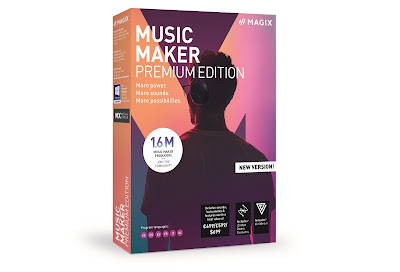 In fact when we heard that we would be reviewing this gadget, we were keen to see how it performed compared to Chipolo. If we're honest the TrackR Bravo certainly looks nicer, being made from a single folded-over metal part (the fold acts as the keychain loop) with the plastic-encased electrical elements sandwiched between. There is a nice range of colours available, and each TrackR Bravo ships with a little keychain, a small battery (on the inside), and a nice little sticker. It also works both ways. 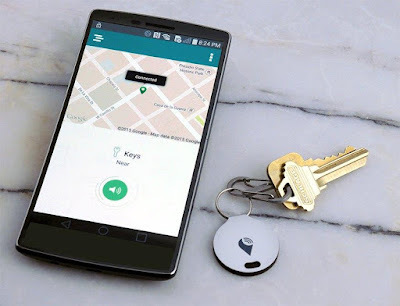 Press the TrackR Bravo itself and it will send a message to your connected phone to make it ring, allowing you to find it should you have misplaced that rather than your keys. You can also set it to chirp away from a separation alert; if your phone gets too far away from the TrackR Bravo, it must mean you've left the house without your keys. All very good, and jolly handy. But what if you've lost an important thing, with your TrackR Bravo attached, and you're further away from it than 100 feet? Well this is where TrackR's Crowd GPS steps in. Piggy-backing on other app users, if another phone happens to detect your TrackR Bravo's signal, it will report it to your account, and you'll receive a message with details of whereabouts the item is. You can then simply go there and use the ringer feature to hone in on it. The great news is that this all happens without the other person's, or people's, knowledge, so only your account is notified. Clever. Every time we've tested the TrackR Bravo, even when pushing the 100 feet range, it has worked 100%. Thankfully the device's chirp alert is loud enough to be heard outside amongst normal ambient sounds, and very noticeable indoors. In terms of the Crowd GPS we were able to test that with two active apps on two separate phones (and quite a bit of wandering around the park) but as of now we can't see users putting a great deal of faith in it. The technology works a treat, but the issue is the number of users out there who might have the TrackR app running on their phone. TrackR assures us that their Crowd GPS network is the largest in the world, and certainly the map of the USA on their website, which supposedly shows all the thousands of active users, is very impressive. However, here in The Test Pit's home city of York, we could detect only a handful of users, meaning we were the only active users in our area. Sure, that's a bit of a bummer right now, but as the use of devices like the TrackR Bravo grows, Crowd GPS systems are sure to take off in a big way. Regardless of the lack of numbers in our locale, the TrackR Bravo is an exceptionally well put-together bit of kit that has so far worked every time. What more could you ask? Except which is best; this or a Chipolo?